Calling all those who love to sing! The Vintage Sing Up is all about singing for pure joy. It’s not a choir, a lesson or a rehearsal. It’s just a wonderful opportunity to sing for the sake of it! It doesn’t matter how you sound. 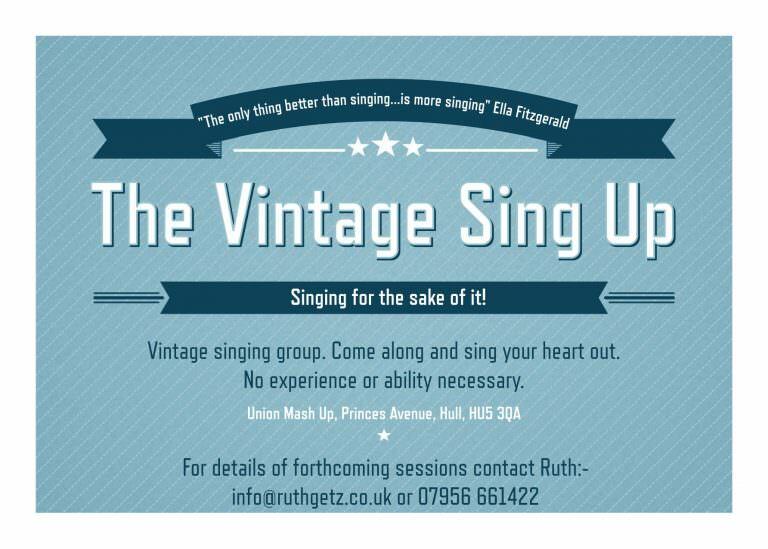 The Vintage Sing Up welcomes all singers, regardless of ability or experience. Once a month we sing songs from the twenties through to the fifties. Everything from jazz and swing through to motown, country, rock n’ roll and musicals. It’s all about lifting the spirits, belting out tunes and having lots of fun. 7.30pm at Union Mash Up, £5 on the door. The Vintage Sing Up – Singing for the sake of it!